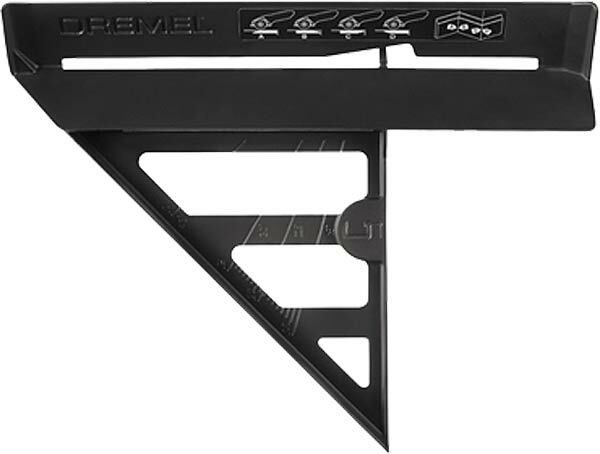 Dremel Saw-Max SM840 Miter Cutting Guide. The Saw-Max Miter Guide is the portable solution for cutting baseboard molding, window/door casing and picture frames with your Dremel Saw-Max tool. Make straight and miter cuts with a depth of cut up to � inch and bevel cuts with a depth of cut up to 9/16 inch using the Saw-Max flush cut wheel. Click the button below to add the Dremel Saw-Max SM840 Miter Cutting Guide to your wish list.